When you first decide to put up a website, chances are you will look up how to do it. You will see a whole lot of articles on how easy it is to make your own website, and how you can publish your new website minutes, all without paying anything. This is all true, by the way. However, you will also find quite a few articles that will advise you to self-host. The trouble starts when you start looking for a host provider. If you are a new webmaster, you are probably going through several levels of indecision over what hosting platform to choose. Most hosting service providers will offer several packages, and they will definitely offer Linux and Windows based ones. The first thing that most newbies will ask when making a website is if the platform even matters, and if one is better than the other. The following should help you answer those questions. Before getting into the factors that should affect your decision in choosing your hosting platform, you should know how your current operating system comes into it. Most people think they need to choose the same hosting platform as their operating system to avoid compatibility issues. The fact is the operating system you use on your computer has nothing to do with your web hosting because you will not have to run anything from there. Your website uses applications that will run on your host’s server. While you might access those applications from your computer, they will not actually run on your computer. In other words, the hosting platform does not have to be compatible with your computer operating system. You might be thinking you will have an easier time managing your website if you choose a platform with which you are familiar with. That is not true. You will not see the same interface when you start up your Windows or Linux computer. When you access your website, you will need an FTP or SSH program, or a web editor. The level of difficulty will depend on the program you use to access your website no matter what hosting platform you choose. The thing you really need to consider when choosing a hosting platform is the technologies your website needs to access. Some technologies are Windows-based, while others are Linux-based. It uses MySQL and PHP, which works well with Linux. If you have, or are planning to create a WordPress website and you want to get your own host, you are better off using a Linux web hosting platform. 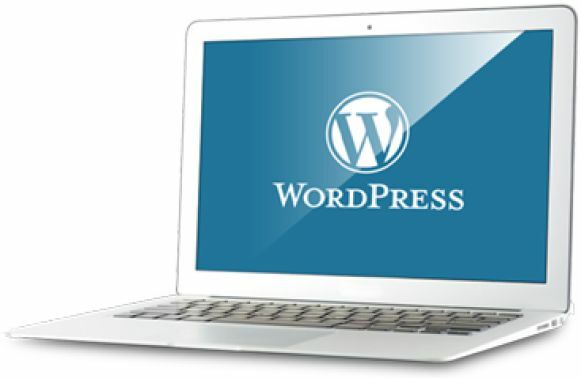 If you would like us to create your website and set up your WordPress website let us know by dropping us a email. On the other hand, another CMS DotNetNuke uses ASP.NET technology, which works well with a Windows hosting platform. If the previous paragraph makes as much sense to you as string theory makes sense to most people, then it’s probably not what you need to know for choosing your hosting platform. Perhaps all you really want to know is the best platform for a blog site or simple eCommerce website that has no special requirements. If that is the case, then you should probably go with a open source Unix-based CMS and a Linux hosting platform. A majority of websites already run on Linux because it is flexible and affordable. Because of this, most website software presume you are on a Linux platform, and runs smoothly on it out of the box. For the same reason, tutorials for configuring web servers also presume you are running on Linux. Even if you have special requirements for your website, and it needs Perl, PHP, or MySQL, you should still get a Linux platform, although these databases also run on a Windows platform. However, it works most seamlessly in Linux. If you run it on Windows, the scripts need modifications to run properly in Windows in most cases. On the other hand, if you really want or need to use a Windows-based technology such as MS SQL or Access for any reason, the best platform for you is Windows as well. It is more expensive and less flexible, but it may be the only way to get the website you want. Perhaps the issue of choosing the right hosting platform is not really the first thing you have to consider. Your hosting platform will necessarily have to follow the tools and programs you use to create, publish, and run your website. You should be more concerned with choosing a web editor or a CMS with which you are familiar, or at least you feel that you can figure out without too much trouble. Choosing your website creation tools well can make it easier for you to get your website up and running. Once you find the tools or CMS that works well for you, you can choose the hosting platform that will work with them. Choosing the right hosting platform for your website is not as complicated as it seems. Linux is stable, affordable and open source. On the other hand, Windows is a developmentally mature system, which makes it easier for web developers familiar with it to design websites. In the final analysis, if you have Windows-specific web creation and editing tools, you are better off with a package using the Windows hosting platform. Anything else will work well and most cost-effectively on a Linux-based host.